MONTREAL, Quebec, Canada, November 7, 2016 (ENS) – Conserving Mexican islands and coasts, fostering the recovery of big cats in Russia’s Far East, and empowering women as seed keepers and organic farmers in India – the three winners of the 2016 MIDORI Prize for Biodiversity each performs inspiring environmental work with a civil society organization. 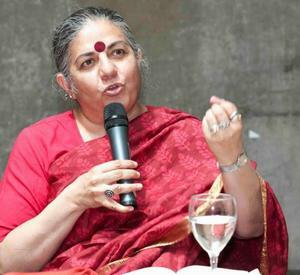 Dr. Vandana Shiva, Founder and Director of Navdanya – India. The MIDORI Prize is a biennial international prize organized by Japan’s AEON Environmental Foundation and the Secretariat of the Convention on Biological Diversity, based in Montreal, to reward those who work to sustain the vulnerable animals and plants of the world. Each winner will receive a US$100,000 prize to advance his or her work. They will be honored at an award ceremony to be held on December 2 in Cancún, Mexico, in conjunction with the high-level segment of the 13th meeting of the Conference of the Parties to the Convention on Biological Diversity. The prize winners will deliver public lectures at a Winners’ Forum that will be held on December 7 at the United Nations University in Tokyo, Japan. “The conservation of the world’s biodiversity and the prevention of climate change are two of the greatest challenges of our time,” said Takuya Okada, Chairman of the AEON Environmental Foundation. “We hope that the MIDORI Prize will contribute to meeting this global challenge through mainstreaming biodiversity and promoting further actions to safeguard biodiversity,” he said. The year 2010 was a milestone in fields related to the mainstreaming of biodiversity. This was the International Year of Biodiversity as declared by the United Nations. Also, the 10th meeting of the Conference of the Parties to the Convention on Biological Diversity was held in Nagoya, Aichi, Japan. In commemoration of this important year, the AEON Environmental Foundation, which also celebrated its 20th anniversary in 2010, established The MIDORI Prize for Biodiversity. The prize is intended to raise public awareness about the importance of biodiversity and to contribute to the objectives of the United Nations Decade on Biodiversity 2011-2020. 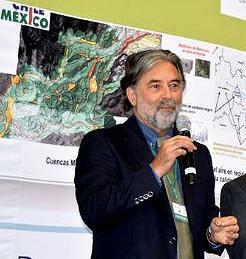 Applying an interdisciplinary approach that integrates the natural and the social sciences, Dr. Alfonso Aguirre-Muñoz has been tirelessly working for four decades on the conservation and sustainable management of coasts, islands and seas, with emphasis on the abundant and very diverse Mexican insular ecosystems. His application of advanced scientific knowledge in favour of large-scale, strategic and tangible conservation and restoration actions makes his work unique and exemplary. For 15 years Dr. Aguirre-Muñoz has built and served as the Executive Director of the Mexican civil society organization, Grupo de Ecología y Conservación de Islas, A.C. (GECI), an organization with 100 skilled, specialized and dependable young professionals engaged in applied research, restoration of seabird populations and vegetation communities, eradication of invasive species, environmental education and outreach, island biosecurity, community development, public policies, and international cooperation. Dr. Aguirre-Muñoz’s perseverance to achieve strong conservation outcomes has had significant impacts on island conservation not only for Mexico but also worldwide. 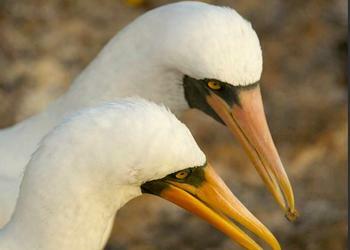 Thanks to his leadership, 59 populations of invasive mammals were removed from 37 islands throughout Mexico. This represents the restoration of more than 50,000 hectares of unique insular habitat, with wide impacts for global biodiversity. These achievements are also the result of his abilities and positive attitude to collaborate with the most diverse partners, including federal government agencies, the Mexican Navy, local fishermen communities, international organizations, foreign governments, academic institutes and universities, and a broad network of donors. His work on public policies, include studies that provided the foundation for the creation of two biosphere reserves by the Government of Mexico: Guadalupe Island and Baja California Pacific Islands. Thanks to that effort, all the Mexican islands are now protected. Very recently, he coordinated the integration, also as a contribution to the effort of federal government, of the successful nomination to UNESCO of the Revillagigedo Archipelago, “Mexican Galapagos”, as a World Heritage Site. Twenty years ago, Dr. Aguirre-Muñoz proposed that federal coastal fringe along all of the Mexican coasts be legally established as conservation areas. This innovative tool is currently protecting hundreds of kilometers of the rich Mexican coasts. Overall, his achievements contribute to several of the Aichi Biodiversity Targets. Dr. Yury Darman is a champion of the Russian conservation movement who has given inspiring leadership to the Amur Ecoregion Programme. He has devoted 40 years of professional service to the Amur River − one of the 10 greatest rivers in the world. Since 1989, he has investigated the impact of dams on freshwater ecosystems and organized five campaigns against dam construction on the main stem of the Amur River. He has integrated scientific and traditional knowledge into a comprehensive program for biodiversity conservation under the umbrella of iconic rare species, such as the Amur tiger, the Far Eastern leopard and the Oriental stork. Due in large part to his efforts, protected areas in the region have been increased and species populations have recovered. Dr. Darman took leadership in the elaboration and implementation of the Programme for Protected Area Network development, which now covers 12 percent of the Amur Ecoregion. He helped establish Norskii nature reserve, Orlovsky federal refuge, and seven provincial wildlife refuges (in total 980 thousand hectares) to save the migratory population of Siberian Roe deer and the biodiversity of the boreal taiga and the northern wetlands. In cooperation with the Wild Bird Society of Japan, and Tokyo and Hokkaido Universities, he conducted a large-scale investigation of the migratory paths of cranes and stork. Based on the results, all important stop-overs and breeding grounds were designated as protected wetlands along the Amur River and its tributaries – 12 new protected areas on 943,000 hectares. 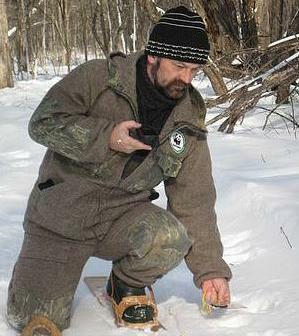 Since 2000, he has been focusing on the creation of a protected area network for the Amur tiger. Through his efforts, two million hectares of protected areas were created, including innovative arrangements related to national parks and ecological corridors. The biggest success has been the gazetting of the Bikin national park, which covers 1,160,000 hectares in 2015. Now, 25 percent of Amur tiger habitats are under protection which, together with anti-poaching and law enforcement, has contributed to increasing the population from 350 to 430 adult cats. Cooperation with civil society, engagement in policy-making, and international cooperation are each essential to the success of such conservation activities. Dr. Darman initiated a public campaign, “Save each of the survivors,” to protect the last population of the Far Eastern leopard, also known as the Amur leopard. As a result, this rarest cat has stepped out from the edge of extinction, recovering from 30 to 80 animals. The establishment by government of a united federal protected area, the “Land of the Leopard”, which covers 262 thousand hectares (60 percent of the species remaininghabitats) was a major success of the efforts. An initiative to prevent forest fire leading to a major decrease of burned area and promote reforestation, planting 1.5 million Korean pine seedlings, was implemented to restore degraded habitats. His conservation activities reach across borders. Cooperation between bordering nature reserves along the Amur River is conducted with reserves in China and Mongolia under a large international initiative known as the Amur Green Belt. Dr. Darman also elaborated and implemented a large project to ensure sustainable use of non-timber forest products instead of logging in the context of a Russian-German Climate Initiative. He has given focus to interlinkages between biodiversity and climate change and faced important biodiversity challenges through his influential work on the ground. Based on the principle of “Earth Democracy,” Dr. Vandana Shiva has dedicated her life to protecting biodiversity, saving seeds, and promoting traditional organic farming methods that protect farmers’ rights. Dr. Shiva founded Navdanya, a network of seed keepers and organic producers spread across 18 states in India that provides training on sustainable agriculture and agroecological techniques. Navdanya’s farm in Uttarakhand conserves more than 2,300 varieties of paddy rice, wheat, barley, oats, mustard, millets, pulses, spices, vegetables and medicinal plants. Innovative agroecological techniques are developed and adapted to local resources and biodiversity studies in this experimental farm. In 2004, a learning center, Earth University, was also set up. Navdanya has helped establish 122 community seed banks across the country, trained over 800,000 farmers in seed conservation, food sovereignty and sustainable agriculture, and helped set up the largest fair-trade organic network in the country. Navdanya’s “Seeds of Hope” project is a good example to highlight the effectiveness of the organization’s work at local level. Between 2011 and 2015, 486 farmers (95 percent of them women) have been trained in Uttarakhand and have converted to organic farming, 55 percent produce surplus, 13 community seed banks are operating, and biodiversity has increased by 25 percent and soil quality by 10 percent. Festivals, marches and informative rallies are used to raise awareness on biodiversity, food sovereignty and farmers’ rights over seeds. Navdanya’s work based on biodiversity in agriculture has increased food and nutrition security. Measured as Nutrition per Acre and Health per Acre, biodiversity conservation has the potential to feed two Indias. Through True Cost accounting measured as Wealth per Acre, incomes of small and marginal farmers have increased 10 fold. Dr. Shiva and Navdanya’s work thus contribute to the Sustainable Development Goals and particularly to Goal 1, to end poverty in all its forms everywhere; Goal 2, to end hunger, achieve food security and improved nutrition and promote sustainable agriculture; Goal 5, to achieve gender equality and empower all women and girls; Goal 12, to ensure sustainable consumption and production patterns; Goal 13, to take urgent action to combat climate change and its impacts; and Goal 15, that includes to halt the loss of biodiversity.